In part 4 of a 5 part series on Water Diplomacy, Program on Negotiation faculty member Lawrence Susskind and his colleague Shafiqul Islam present their research with regard to water diplomacy in the Middle East. Zero-sum thinking emerges when people conceive of water as a fixed resource – one provided by nature in a given quantity that is either static or diminishing. Based on these assumptions, diplomats often focus on what share of the existing water will be given to each entity. Negotiations of this type typically involve decision makers who are political leaders focused on preserving sovereignty and maintaining state security. 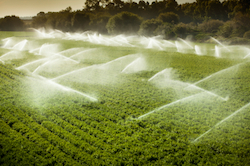 They are often unprepared to think about improving the overall efficiency of water use, which, in effect, can “create” more water. During the 1950s, the United States mediated negotiations between Israel and Jordan. Both sides primarily focused on which country would get what share of the water in the Jordan River basin. Although the mediator made numerous suggestions regarding the benefits of enhanced cooperation (such as using Lake Tiberias as a common reservoir for water storage), political concerns led both countries to reject these ideas and instead focus exclusively on the volume of water allotted to each side. Even if this line of negotiation had succeeded – which it did not – it would have produced a sub-optimal outcome. Such an agreement would not have encouraged either side to look for creative ways of increasing or reusing available supplies, and therefore would have done nothing to help either party deal with population increases, drought, or decreasing environmental quality. Escaping the trap of zero-sum thinking means recognizing that water is not a fixed resource. When water is conserved or used more efficiently, it is as if more water were added to the supply side of the equation. Since the 1950s, Israel has worked to develop new technologies, such as drip irrigation, that use much less water than traditional methods. Jordan and Israel have both worked to improve their water infrastructure so less is lost to leakage and evaporation. Both Israel and Jordan also reclaim wastewater for agriculture and desalinate seawater. These methods formed an important part of the 1994 peace treaty, where Israel received groundwater rights in exchange for increasing the supply of desalinated water that it could share with Jordan. In addition to creating multiple uses of water through technological innovation, countries or states may create flexibility merely by living up to treaty agreements. In the 1994 treaty, the two countries promised to work together to create storage capacity for Jordan. Because Jordan has highly seasonal flows and no water storage capacity, the Jordanians needed a system that allowed them to transfer water into Israel’s Lake Tiberias in the winter. They had to be able to count on Israel to release water back to Jordan during the summer. Because the Jordanians believed that the treaty would be honored, they now have the water they need during the summer. Thus, more water was not actually created through this storage-and-release commitment, bu the arrangement allowed more effective use of the available supply. If negotiators from different countries can focus on ways of increasing their “virtual” water supplies through cooperation, then they are not as likely to get bogged down in disputes over who gets how much of a limited supply. The best opportunities to create value come when countries negotiate linked agreements (i.e., when multiple issues are considered simultaneously). While a country might not prefer to forego any of its surface water, it might be willing to exchange a modest amount of surface water for an increased share of groundwater over the long term. Since most states sharing basins have different needs, preferences, and capabilities, it is almost always likely that linking issues will open up value-creating opportunities. Such linkages do not have to be confined narrowly to the water domain. Prior to the 1994 Israel-Jordan treaty, the two countries disputed two bits of territory, one in the Araba/Arava Valley south of the Dead Sean and the other in the Baqura area near Lake Tiberias. Ultimately, Israel conceded the land south in exchange for Jordan giving Israel the right to continue extracting groundwater there. Israel also conceded certain land in the north while Jordan granted Israel the right to continue agriculture there for 25 years.